PrBoom-Plus is released under the GNU General Public license v2.0. wrt to that "seam" visible, i hvae something similar. Did you ever seens something like this? What could it be affected by? @Bszili thinks it might be a texture clamping issue. Could this be in some other way than residualvm confirmed and probably fixed? A clamping issue could indeed cause those seams, or some slight differences in vertex coordinates. 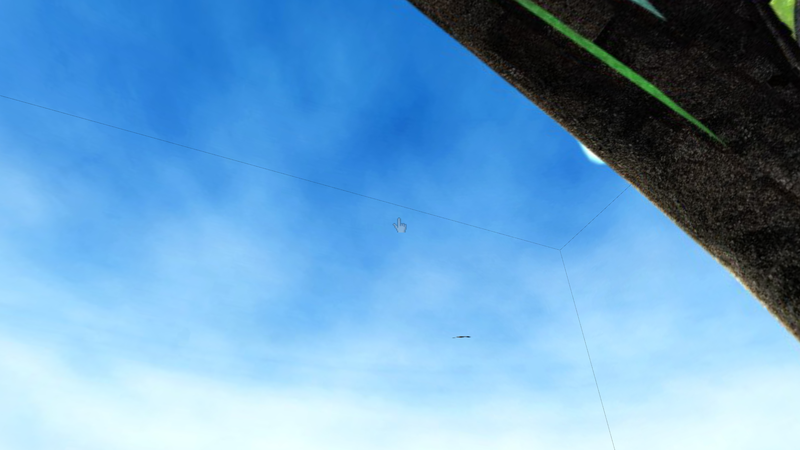 That's more likely the culprit than a shader compiler bug, especially for a simple skybox. EDIT: Texture clamping issues are an app/game bug. You need to change the texture's edge clamping rules. Try changing the texture's GL_TEXTURE_WRAP_S/T modes to GL_MIRRORED_REPEAT. Have you tried the suggested fix? Huh?! Isn't that the MiniGL thread? AFAIK MiniGL (and Warp3D) only support GL_REPEAT and, well, "something else" That "something else" (there is no parameter check in MGL here...) always maps to W3D_CLAMP (as would GL_MIRRORED_REPEAT...). Now, I can only speek for the R200 driver, but here W3D_CLAMP maps to the function "clamp to last texel", which is what you usually want and which coresponds to GL_CLAMP_TO_EDGE (not GL_CLAMP!). This definitely cannot produce such artefacts as you see here. What card / driver are you running your test on? To me it looks as if it would falsely switch to a wrap function like GL_CLAMP_TO_BORDER or GL_CLAMP asuming a texture with a single colored border. You could try searching the code for everything that starts with GL_CLAMP temporarily replace it by GL_REPEAT to see if that changes something. Or maybe it's a numeric issue and the cube's coordinates are just a tiny tiny bit off so that what you see as lines is actually the background color shining through. Try locating the glClear command in the code and temporarily put a glClearColor(1,0,0,1) in front of it. If the lines become red, then this is the problem. EDIT: after zooming into the picture I don't think its the numeric issue. Could this be confirmed/checked in some other way/app/code example than residualvm, and then be fixed (in residualvm too)? No no, it may well be the right place, if you are using MiniGL under the hood and not e.g. gl4es or ogles2 directly. Anyway, as I said in my previous post: On MiniGL GL_CLAMP_TO_EDGE maps to W3D_CLAMP and on R200 this maps to "clamp to last texel" which is what you'd expect and which doesn't produce such artefacts. The question is what your RadeonHD driver makes out of it. Therefore just try out what happens if you use GL_REPEAT (and nothing else!) instead of GL_CLAMP_TO_EDGE. If that doesn't get rid of your black lines then it's not wrap-mode. Btw. : those "white lines" comments make no sense to me. wasn't there a similar issue once in Warp3D Nova and the Q3 mirrors? Maybe they got those visible borders in white instead of black while developing? The reason is that IIRC W3D Nova had some issue with mipmapping and such artefacts in Q3 under certain circumstances, maybe the "normal" Warp3D driver on your RadeonHD suffer from sth. similar. As being said this made no sense anyway as it would behave exactly like everything else not being GL_REPEAT on MiniGL. That "non power of two" comments are regarding to not available ARB shaders, i believe? WARNING: GL_ARB_texture_non_power_of_two is not available.! Then the most likely culprit now becomes the game itself. What are the pixel sizes of the textures used in your screenshot ? Can you open the texture files in your favorite paint-program and tell me? If they are not a power-of-two then the game will apparently scale them to the next higher power-of-two. And that (unknown) code may be buggy. I can't open the data files as they are packed together which no paint program (i have) can handle. They are called xxxnodes.m3a and such. Then please get me all the source code for that class OpenGLTexture instead please, I suppose the coresponding code is inside that. I think Daytona675x is on to something. The Non-Power-Of-Two (NPOT) warning may well be why it looks okay on other OSes, and not on AmigaOS with MiniGL. The hardware handles NPOT on the other OSes, whereas with MiniGL the game/app needs to convert those textures to have a width and height that is a power-of-two. If they simply pad the texture with white/black/whatever, then that border can leak through as seams.